As you can see, in past few days we have been working to improve the service of our Ecological Self-Service Laundry “El Candelero” in Fuengirola. If you really care about the environment, the use of organic products and you are in need to do laundry or wash blankets or your sofa’s cover, then you should take a look at our laundry service. 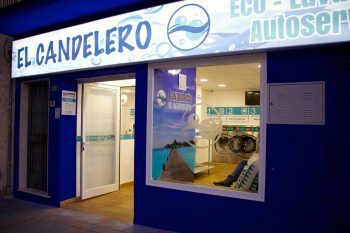 El Candelero Laundry , its a pioneer new type of Laundry in Fuengirola with the use of organic products of high quality. This last week we have released our new web page , where you’ll have all the information about news and offers in El candelero Self Service laundry.